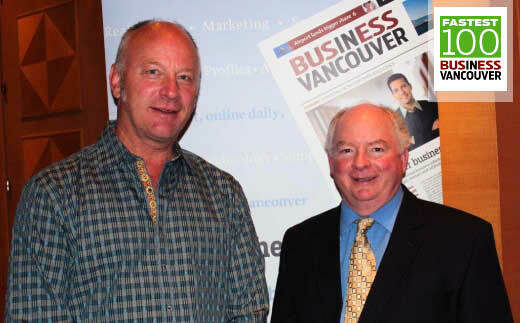 KDS Construction Ltd recognized by Business In Vancouver magazine., KDS Construction Ltd News. On October 10 2012, KDS Construction Ltd. President Kelly Shannon and Vice-President Marvin Kale attended the Business in Vancouver Top 100 Fastest Growing Companies gala awards dinner at the Fairmont Waterfront Hotel in Vancouver, BC. Appearing in the September 25, 2012 issue of Business in Vancouver Magazine, KDS Construction Ltd. was recognized as the 5th Fastest Growing Construction Company in British Columbia, as well as the 60th Fastest Growing Company overall. KDS Construction Ltd is honoured to be recognized by Business in Vancouver magazine and is working tirelessly to continue to provide quality, professional services to past, existing and all future clients.